Humour can change lives and relationships, so it’s useful in the workplace. ‘If you want to work in our business you’ll need a sense of humour’ said one job advert. A toxic work environment or a great place to be, it all depends on your sense of humour. 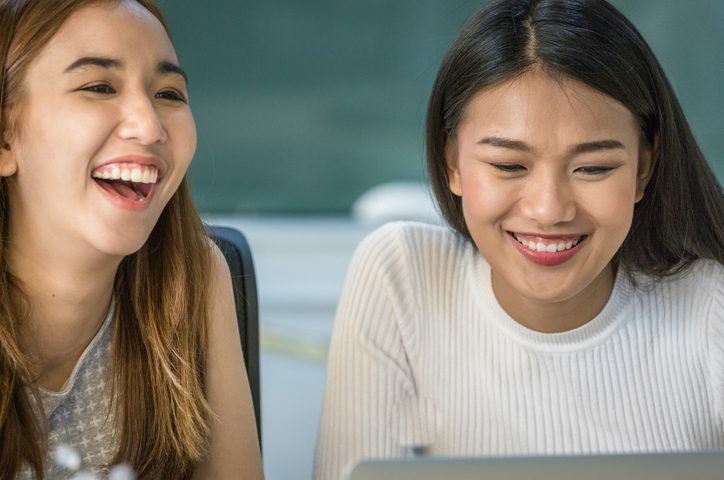 Cracking a joke can be a great ice-breaker but if your boss or colleague doesn’t share your sense of humour you may be laughing yourself out of a job. If that happens to you just move on, and laugh it off. If you want your SME to flourish then having a laugh at work is a good way to get things started. Your working life is too short not to have a giggle. One organisational consultant and former stand-up comedian, Izzy Gesell, explains why we laugh and how we can use humour; to protect, attack, connect, and distract. 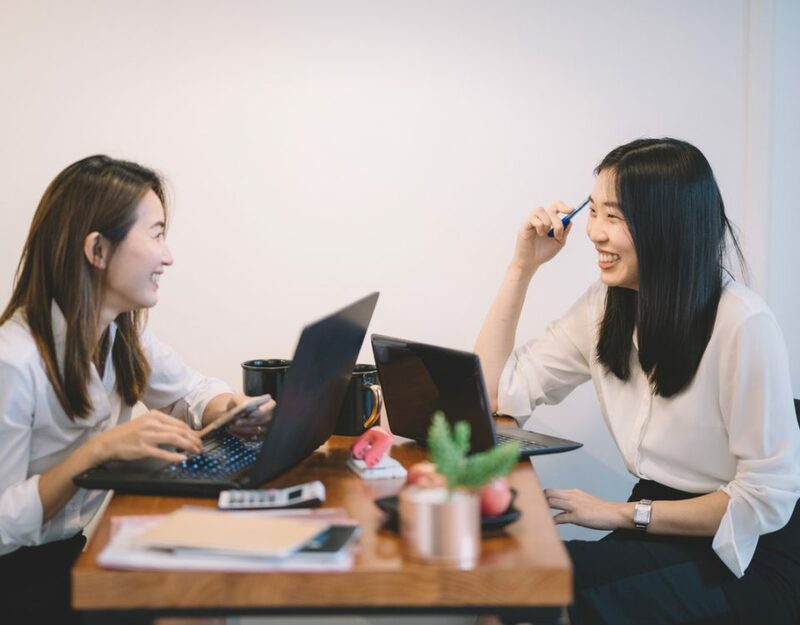 Humour can be used strategically in the workplace to help relieve tension, shift perspectives, bring people together, and work more effectively. Izzy provides tips and tricks for both evaluating and expanding your humour skill set. Are you ready for a good laugh? Izzy explains that humour can be looked on as a subject that contains elements of biology, psychology, physiology, neurology, sociology, art and craft. Humour at its core is an expression of a perceived reality. This ability to see something from a particular perspective is a cognitive process. It is also a skill that can be learned so why don’t you start practicing? People consciously and unconsciously make statements through humour about themselves, their relationships, their groups, and their fears, which they may otherwise find difficult to express. Humour in the workplace, or lack of it, functions like a thermostat, controlling the climate within an office. It is a key component of the atmosphere that surrounds your SME company culture. Negative humour can also make a workplace seem cold and unfriendly whilst total lack of humour indicates a systemic absence of communication. 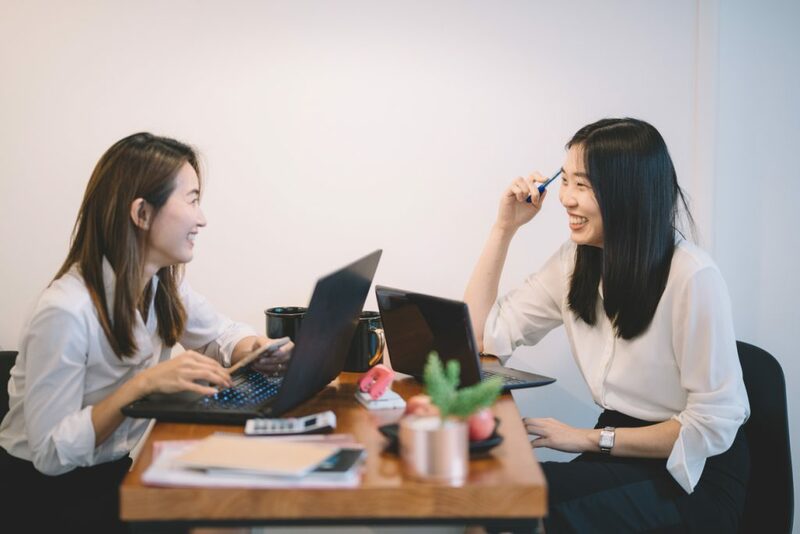 Having a laugh at work helps maintain the physical, mental, and emotional balance amongst your staff, it also boosts morale, facilitates communication, stimulates creativity, and helps manage stress. Sedentary jobs are bad for health. Being chained to your laptop all day is sometimes essential if you have a busy job. One healthy way to break up your work day it to get up and walk around. If you are an SME owner then you should already be practicing ‘management-by-walk-around’ in your office. Your staff may feel threatened when you approach their work station, they might think you are checking-up on them or trying to catch them out. So why not crack a joke as you walk up to their desk to make them feel comfortable. Humour also helps identify who your friends are at work. Colleagues who see things the same way you do as well as those who may have different perspectives. For example, historically, court jesters had license to tell the truth to the King or Queen because royalty needed people that weren’t going to just tell them what they wanted to hear. Why not show the editorial cartoons in your favorite newspaper or magazine to you colleagues and see what the topics they laugh at the most? Politics or celebrities, super models or sports stars? Culturally, clowns have had an educational or a moral component to them. One function of a clown is to show that when life knocks you down, you can bounce back up and keep going. What not try laughing at yourself (before other people do)? One SME owner in China asked his new foreign colleague, “When does 250 = 13?” After some puzzled silence by the foreigner the SME owner explained, “The word for idiot in Beijing is ‘Er Bai Wu’ (250) but the word for idiot in Shanghai is ‘Shi San Dian’ (13).” Having a laugh can be a way of helping outsiders get to know a foreign country better and helping new recruits to get to know your company better. Surprise is one reason people laugh at jokes. When jokes are funny, they’re funny because the punch line is unexpected. If there is a person in your workplace who has a reputation for being humorous, you might find yourself looking forward to the next time you see them. From your experience, you know that Jack or Jill always comes up with a witty remark and a unique perspective. Being funny is attractive. Surprise is also one of the elements of “slapstick humour”, a form of humour that involves exaggerated physical activities, which exceeds the boundaries of common sense. “Slapstick” is humorous because it is harmless to the observer, and you find yourself laughing when you don’t expect to. Take a look at Jackie Chan’s movies. He made his name as a star by combining Kung-Fu with comedy and became the highest paid movie star in Hong Kong. At its core, humour is about recognition of shifting perspectives. Laughing is a body’s way of recognizing that there is more than one way to view a situation. Even the phrases we use when we understand humour such as “I get it!” and “I didn’t see that coming!” indicate that we’re seeing things from a new perspective. One of the reasons children’s comments on a situation are funny to adults is because a child has one point of view on a situation and an adult may have a different point of view on the same thing. On one a family gathered at home to watch television together. A political leader came on TV to give a speech and whilst the family was watching the speech the baby in the family suddenly raised his finger towards the TV set and shouted out, “Look Mum and Dad, it’s ‘Super-Liar’!” Adults laugh because they can see both points of view.